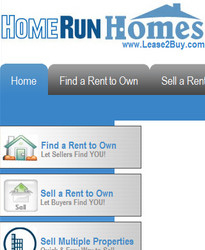 A Partnership Based on Necessity - Legal Forms For Rent to Own Deals. U.S. Legal Forms, which is referred to as "America's One Stop Shop for legal forms & documents", has been in business since 1997, and carries over 36,000 state-specific legal forms. 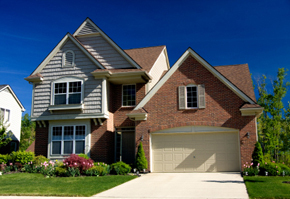 Robert Eisenstein, the CEO & Founder of HomeRun Homes, points to the fact that visitors to HomeRun Homes, "are here to find or sell a Rent to Own Home, and they need the proper forms to complete these deals. ", and, "since U.S. Legal Forms has been rated '#1 Legal Forms Product' 6 straight years 2006-2011, we evaluated them and thought it would be a great fit for our customers." Eisenstein says that as a result of this joint venture, visitors can now browse and select the forms that they need via a link on the home page of his website, as well as in the Log In User Control Panel, which is provided to those placing Ads on HomeRun Homes. Some of the forms that would be of particular interest to those working on a Rent to Own deal would be the Landlord Tenant Forms, Deed Forms, Home Sales Forms, Owner Finance Agreement, Purchase Contracts, as well as many others that are offered by U.S. Legal Forms. HomeRun Homes is working towards a very productive and helpful year for it's visitors and customers, and Eisenstein is hoping that this year is even busier than 2010. Last year, the company celebrated their 8th anniversary, launched a website for foreclosure assistance via Rent to Own, and spent a large amount of time and budget in complying with the new Government Standards for Web Security Compliance, referred to as PCI/DSS.